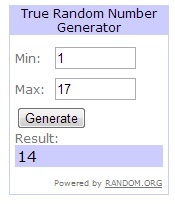 You have won my Beauty Christmas Gift Pack! Christmas is coming in 1 week time!! I’m doing a Beauty Christmas Gift Pack Giveaway to 1 of my lucky readers out there! – NUXE Multi-usage Dry Oil! Only 1 lucky reader will walkaway with this Beauty Christmas Gift Pack! All steps must be done in order to qualify for this Christmas Giveaway! 3. Leave a comment on this blog post with your Name, Twitter ID and Email. Contest will close on 23 December 2012 at 6pm! Hello Yan Teng 🙂 I am joining!